trac and Clera will be working in partnership at the Harlech Fire and Sea festival on the 27th and 28th of October. 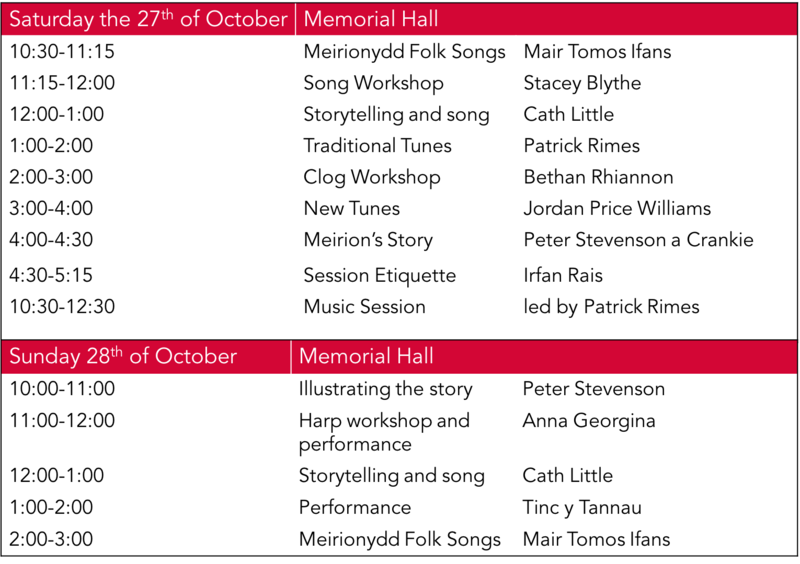 The programme includes free music workshops in the Memorial Hall on Saturday and Sunday. Patrick Rimes, Stacey Blythe, Mair Tomos Ifans and Bethan Rhiannon are among the tutors. Trac and Clera will also be running an information stand selling CDs, tune and song books. On the Saturday night (27th) Calan, Vrï and Elfen will be performing in Harlech Castle at 18:30. Tickets are available for their performance here.